For these Gluten Free Coconut Cookies, I was forced to do something a little different for me. I wanted to make a batch of cookies, but I ran out of spelt flour. So I had to make do with my hodge-podge of pantry ingredients. I am glad I did because these cookies came out delicious! Gluten free too! Blend the oats and almonds together until they are the consistency of flour. Works great in a Vitamix. Pour the mixture in a bowl. Blend 1 cup shaved coconut into a fine consistency. What remains should equal about 1/2 cup. Add the coconut, the coconut sugar and the brown rice flour to the almond/oat mixture. In a small bowl, combine all the wet ingredients. Add the wet to dry. With wet hands, form dough into balls and place on lined baking sheet about 1 inch apart. The dough will be sticky. Once all the dough is rolled into balls, you can add the chocolate chips to the tops of each ball. Bake in the oven for about 12-14 minutes. I got about 16 cookies. Not too many are left though. May be doing a second batch tomorrow! So now that I have caught the gluten free bug, what other gluten free cookies would you like to see? I am feeling inspired by this success! do you think any other type of flour would work for this recipe besides the brown rice flour? I do not have that on hand but I have all the other ingredients, maybe spelt flour? Sure, spelt flour would work fine. I get it on Amazon. I love it! http://tinyurl.com/beans-mwfl You can also use vanilla extract. Can I put dry brown rice in my Vita Mix and turn it into brown rice flour? I have never tried, but I think you can. Melissa Phillips Thanks for the Pin! Just made these with garbanzo bean flour. The batter tasted awesome, and so does the cookie! I subbed the coconut sugar for maple syrup and added a little bit of sea salt. I love sweet & salty! Oh yum! Glad you liked them! Do you have GF all purpose? It may work as a substitute. Ok, thanks! Any idea if chickpea flour would work? I think it could work. 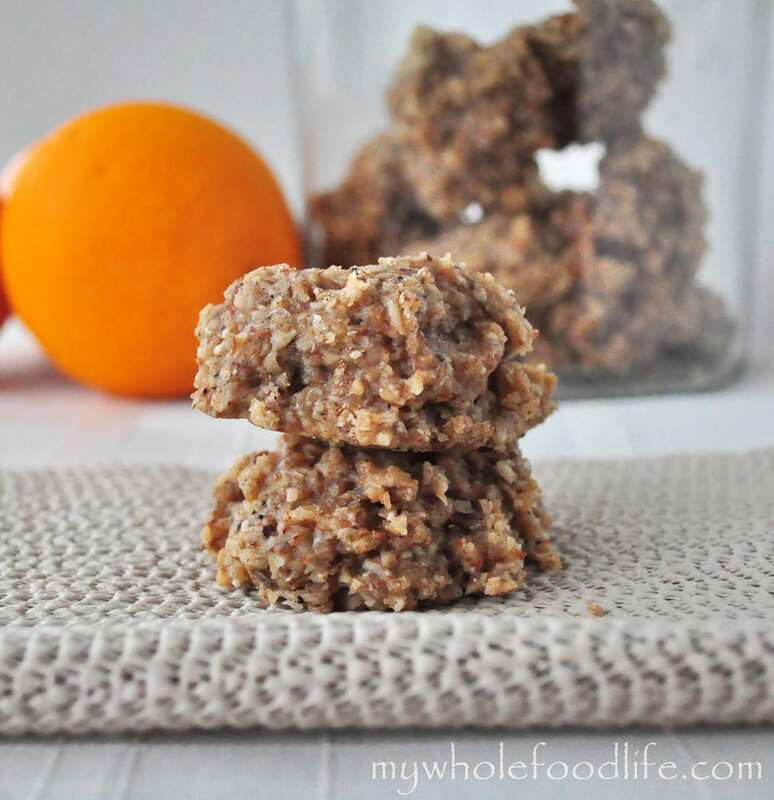 I used buckwheat groats (not oats or wheat) and they turned out amazing! I already have oat flour and almond meal/flour. Would I still use 1 cup of each? I think it would be less but I am not sure. In other words, how much flour (in cups) does the 1 cup of pre-ground oats and 1cup of pre-ground almonds yield once grounded? It would be less. I am guessing maybe 1/2 cup of each? when you say I used egg replacer what do you mean ? need recipe for that please . I've never baked with brown rice flour before. However, I do have tons of chickpea and almond flour. Do you think they would work here? I think either one might work. I want to make these, but all I have is coconut flour. So you think that will work? Would it be the same measurements? Btw, I'm ADDICTED to your peanut butter granola bars & have made them with Pb as well as almond butter and LOVE them. I'm OBSESSED with your blog & tell everyone!!! Thanks Ginny! I think if you use coconut flour, you would need to add some flax eggs. It might work? Coconut flour absorbs the liquid way more than other flours. I would cut the measurement to 1/3 of what the recipe calls for. Then if you need more, you can add in small increments until the consistency is right. Hi! I can't wait to try this recipe out - but I am unable to eat apples (or pears), and was wondering if you had a suggestion as to an alternative to applesauce? Thanks! These may be made with a 'hodge podge of pantry ingredients' but my they sure look yummy! !